UA Europe delivers customized training on MadCap Flare to suit all levels and previous experience. The training is delivered either face-to-face in a training room at your own offices within the UK or Europe, or via the Web. 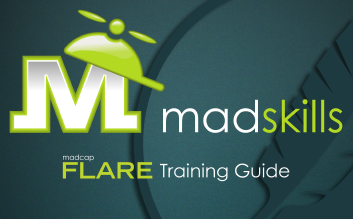 Your trainer Matthew Ellison is a Certified MadCap Instructor and has expertise in all the latest features of Flare 2019 including Micro Content, CSS Variables, and SideNav. He is widely respected within the User Assistance community and is a past winner of the ISTC's annual Horace Hockley award. 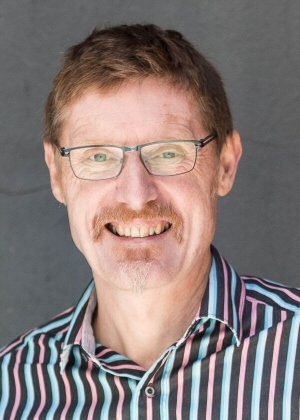 Over the past ten years Matthew has successfully trained hundreds of Flare authors, and he is a featured speaker at MadWorld 2019 in Dublin. Matthew has practical real-world experience of working on Flare projects for organisations, large and small, from a wide range of industries. He is an expert in designing and creating the required infrastructure for new projects including templates, style sheets, skins, and master pages, and is uniquely placed to pass on numerous hard-won tips and tricks on maximising the re-use of your information. How will I benefit from Flare training? After taking the Basic/Intermediate course, you will be confident in creating new Flare projects, and in maintaining your projects in a consistent and efficient way. You will be equipped to publish content in HTML5 and PDF formats, and will have the required knowledge of CSS to format each of these outputs professionally and appropriately. 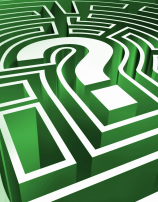 Face-to face training at your office: normally 3 days. (3 hours of interactive training per day, plus Q&A by phone, IM, or email during hands-on practice). The course duration can be adjusted up or down to suit your specific requirements. For example, if you would like to explore some of the advanced features of MadCap Flare in more detail, or if you would would like to practise some of the new skills with your own project files under the supervision of the trainer, then we would increase the duration by one or more days. This training is normally delivered at your own offices. You need to provide a room with data projector and flip chart. Each student requires their own PC or laptop computer with Flare installed (a temporary trial version is fine). 3-day class: £2,500 for first student, plus trainer’s travel/accommodation expenses. £300 for each additional student. So, a course for 5 students would be £2,500 + (4 x £300) = £3,700, plus trainer’s travel/accommodation expenses. Reduced 2‑day class: £1,800 for first student, plus trainer’s travel/accommodation expenses. £250 for each additional student. So, a course for 5 students would be £1,800 + (4 x £250) = £2,800, plus trainer’s travel/accommodation expenses. Students take this training from their own office location or from their home (as preferred). They need a Windows PC laptop computer with microphone and speakers, with a good broadband connection, and with Flare installed (a temporary trial version is fine). Recommended optional requirements are an audio headset with microphone that can be plugged into the computer. Alternatively, they can access the audio part of the training using a phone connection. 4-day class: £2,150 for first student. So, a course for 5 students would be £2,150 + (4 x £300) = £3,350. Reduced 3‑day class: £1,600 for first student. So, a course for 5 students would be £1,600 + (4 x £250) = £2,600. To ask any questions or to tell us about your requirements, please complete the following form, and we will get back to you shortly. "The course has made a huge difference, I actually have confidence to try new things in Flare." "...the online Flare training with Matthew last week was excellent. He explained everything clearly, and provided great advice on how Flare can help with my current role. I feel I have a solid grasp of the basics, and am looking forward to building my skills and becoming an expert user." "Thank you again for the excellent training you gave us: it was very clear and well explained, never boring"
"...thank you for the training and I have been incorporating a lot of what you have taught into my existing projects. Very informative and keep up the good work!" "You did a wonderful job! You are very clear in your explanations. You are always available and keen to answer questions although they interrupt the training and I really appreciated it. I also liked the fact that you are always of good advice based on your own experience of the tool, that is what probably makes the difference!" "Thank you, Matthew for the wonderful training sessions :-)"
"...let me say that I am very impressed with the course and your delivery of it. It is excellent!" "Thank you for all the files Matthew, and for your patience and kindness during the training." "...today’s session was very useful and thought provoking"
"I really enjoyed the week and got so much out of it!" "Thank you for sharing your time and expertise. The course was very interesting and informative." "Many thanks for the excellent training sessions."